Demography may not be destiny, but population trends are reshaping our world in ways that are new and often poorly understood. Demographic factors will play a leading role in determining economic growth rates, employment prospects, poverty reduction, and economic inequality. They will also impact global environmental concerns, including pollution, biodiversity, and climate change. Aging and declining populations with profound implications for employment and economic growth are found in Japan, South Korea, Russia, the European Union and even China. These trends contrast with growing populations in Africa and parts of Central and South Asia. These contrasting demographic trends, along with environmental factors, are also reshaping historic immigration patterns. To assess how these and other demographic trends are likely to shape global prospects for lasting peace and sustainable prosperity we welcome Mr. Robert Walker. Robert Walker is the President of the Population Institute, where he directs the organization's advocacy and public education activities, including its work on issues related to health, economic development, sustainability and the environment. 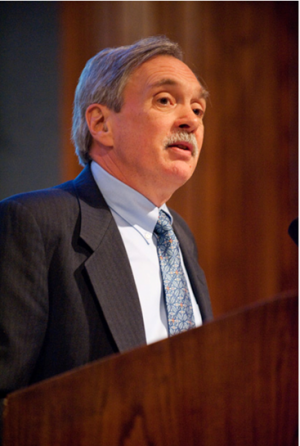 Prior to joining the Population Institute in February 2009, Mr. Walker was President of the Population Resource Center. He formerly was the Executive Director of the Common Cause Education Fund, a nonpartisan, nonprofit organization working to promote open and accountable government. Mr. Walker worked for a total of 14 years on Capitol Hill, including five years as a legislative aide to Rep. John B. Anderson and six years as Legislative Director to Rep. Mo Udall, the Chairman of the House Interior Committee. He also served for two years as Legislative Counsel for the American Association of Retired Persons. Mr. Walker received his B.A. in Economics from Rockford College and his J.D. from the University of Illinois School of Law. He attended the University of Sydney in Australia under a Rotary graduate fellowship.